Washington, D.C. – A new piece of legislation was introduced in the House of Representatives, H. R. 378, labeled the Responsible Body Armor Possession Act, which if enacted would deprive law abiding citizens of another means of self defense. The legislation, forwarded by Rep. Mike Honda, would ban citizens from ownership of enhanced body armor, defined as “body armor, including a helmet or shield, the ballistic resistance of which meets or exceeds the ballistic performance of Type III armor, determined using National Institute of Justice Standard-0101.06” in the bill. Level III and higher body armor can defeat most common rifle ammunition. The body armor in question has a sole purpose of protecting the wearer from potential serious injury or death from being shot. If passed, this bill would usurp people’s ability to own a truly defensive form of protection, with penalties for possession/ownership ranging from fines to jail time or both. This speaks to the heart of the law enforcement problem in America. Laws are continually being proposed to solve problems that don’t exist, which is exactly how we have gotten into the current police state mess we find ourselves in. The reality is America has less major crime than at any point in the last 40 years, and yet we have cops patrolling American streets as if they are in the Korengal or Fallujah, and treating the citizens as such, with absolutely no regard for the Constitution. Perhaps if Honda put as much effort into disarming the overly militarized police, as attempting to take away law abiding citizens ability to defend themselves from would-be shooters, people wouldn’t have the impetus to wear body armor. The armor is purely defensive in nature, and people should always have the ability and right to defend themselves against attack. Interestingly, government employees and personnel who work for the various government agencies, departments, or “political subdivisions” are exempted in the bill. 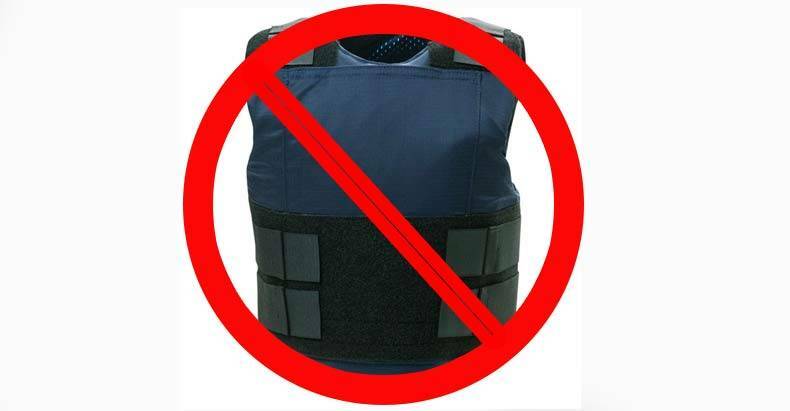 Additionally, the bill states that citizens who own body armor prior to the bill taking effect, would, in essence be grandfathered in and be treated the same as government personnel. Where is the sense in government banning something that provides people protection from harm? The logic of this bill is so askew that it wouldn’t be surprising if perhaps next they will try and pass a bill that outlaws hiding behind things while being shot at.